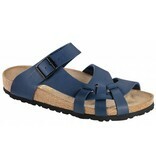 The Birkenstock Pisa sandal is a combination of comfort and a great look. The way the straps are connected give the sandal an artistic look. The upper strap can be easily adjusted with the metal buckle. The straps are made of skin-friendly Birko-Flor with a soft felt lining to ensure a perfect fit. The anatomically shaped cork foot bed with suede top layer makes walking comfortable. 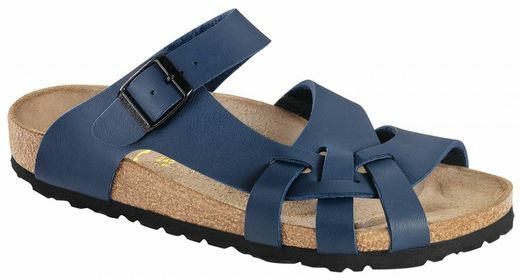 The Birkenstock Pisa blue is available in the width ‘normal’.